If you thought that the Ruhr region of north-west Germany was nothing but belching chimneys, satanic mills and slag heaps, think again. 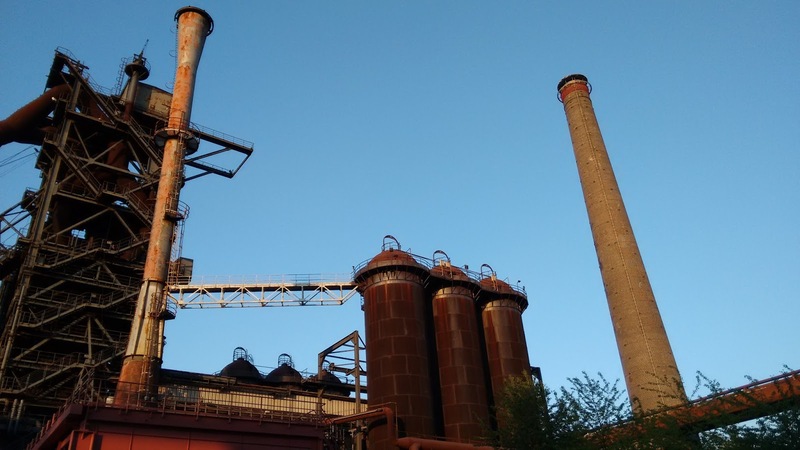 It is true that vestiges of those images do still exist in places, especially among the chemical factories along the Lower Rhine, but the one-time heart of European heavy industry, mining and manufacture has its sweeter side as well. In recent times, the region has re-invented itself as a cultural hotspot (it was European Capital of Culture in 2010) and has gone to great lengths to exploit its industrial archaeology by turning one-time turbine halls, coking plants and mines into museums, landscape parks and performance venues. But there’s another Ruhr, one that seemingly survives unscathed by modern industry. 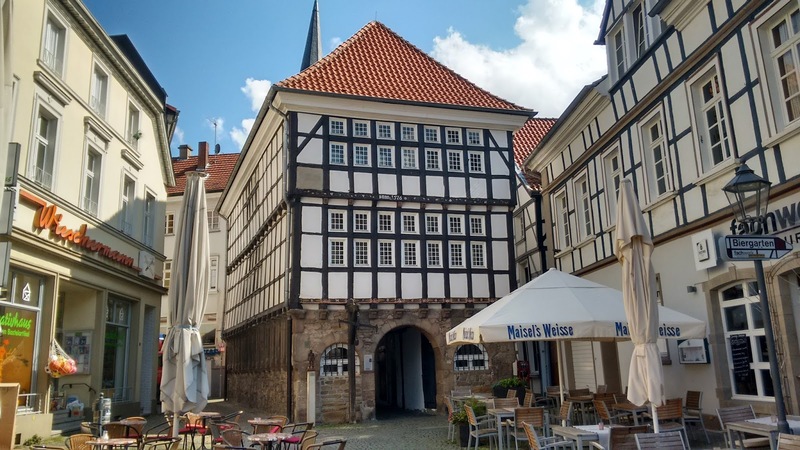 Admittedly, wartime bombing flattened all the big towns and cities, many of which had historic hearts, and the present-day Altstadts of these are often sad relics of former glories. Move away into the countryside, however – and there’s a surprising amount of open forest and farmland between the cities, as any local train journey reveals – and there are historic villages, townscapes and miles and miles of paths and trails for hiking or cycling. Essen is the largest city in the Ruhr and was once dominated by the industry of the Krupp engineering empire (the family’s Valhalla-like mansion, Villa Hügel, is now a major tourist attraction in a park to the south of the city). 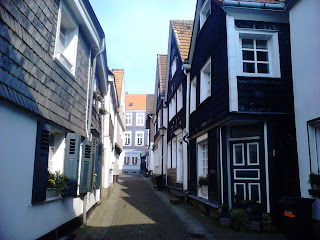 But within easy reach are a handful of unspoilt smaller towns that seem to belie their presence in this part of Germany. Principal among them is the former Hanseatic town of Hattingen, a 20-minute S-Bahn ride south-east from Essen, and a place that with its 143 restored half-timbered buildings seems like a world away. 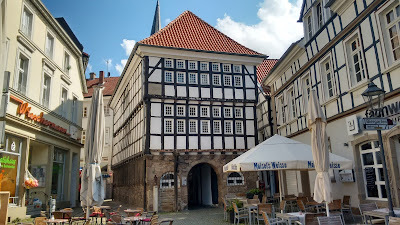 The approach from the Hattingen-Mitte S-Bahn terminus is somewhat unprepossessing, over a ring road and through a modern shopping centre, but soon one is in a medieval square, the Untermarkt, dominated by its 16th-century Altes Rathaus (old town hall - see main image above). 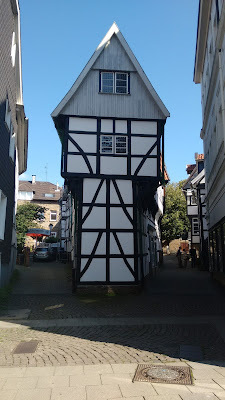 Behind it is the parish church of St George, with its jauntily bent spire, and surrounding that an enjoyable maze of little lanes full of half-timbered gems, such as the ‘Bügeleisenhaus’ (iron house, from its top-heavy profile looking like a clothes iron, see picture, right). Even here there’s a heritage of iron- and steel-making, and a modern town gate has been designed to pay tribute to its industrial past, while within walking distance just to the north of the historic town centre is the Heinrichshütte Ironworks, a major component of the Ruhr-wide Westphalian State Museum of Industrial Culture. 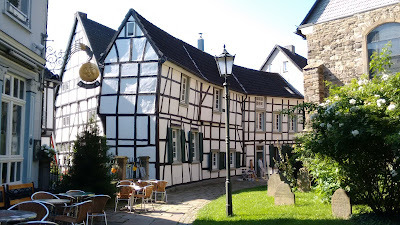 But it’s the other-worldly Fachwerk, or half-timbered architecture, that makes Hattingen one of the most charming places to visit in the region, especially during the summer, when its many cafés and restaurants spill out into the streets and squares. 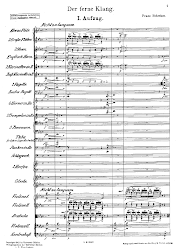 Except around its mouth at Duisburg and nearby Mülheim, the river that gives the region its name meanders with tranquil insouciance between wooded hills. The worst of the industry left the Ruhr valley for the flatter area to the north in the 19th century and now it’s a pleasant area to explore, whether on excursion boats on its various dammed stretches, walking or cycling along its dedicated long-distance path or visiting its riverside towns. 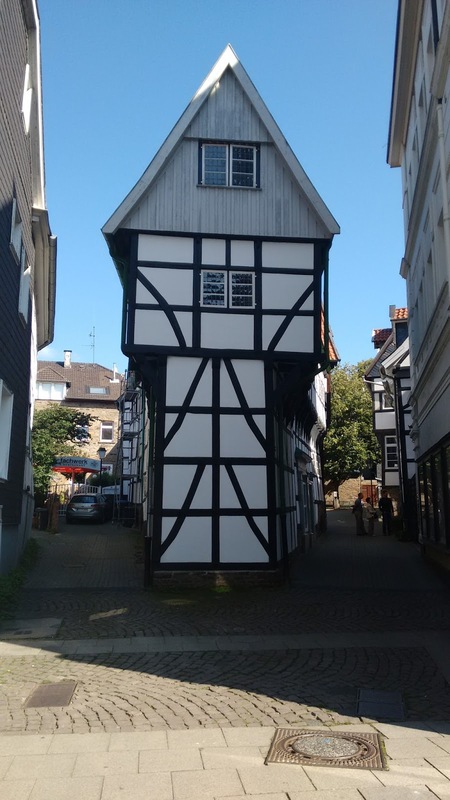 The most attractive of these is Kettwig, on the S-Bahn line between Essen and Düsseldorf (Kettwig and Kettwig-Stausee stations are equally about a 15-minute walk from the town centre). Rather than the traditional black-and-white half-timbering of Hattingen, the architecture here is dominated by green-slate cladding, which gives the place a subdued but austere feel. There’s an attractive square and sinuous main street and a gentle tumble of steps and lanes falling away to the river from below the church.